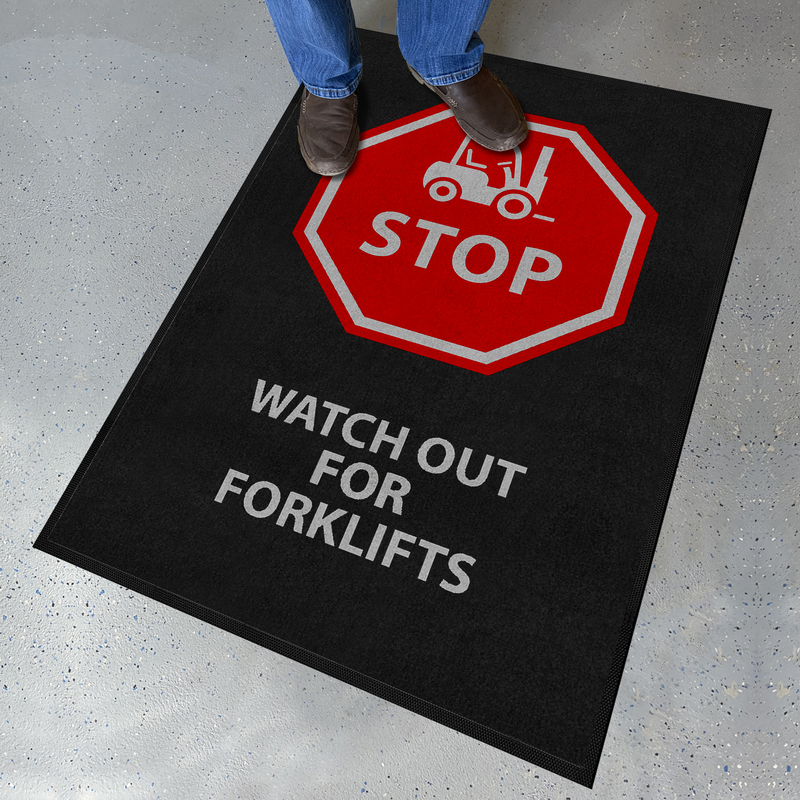 Workers-forklift collisions are all too common in warehouses. 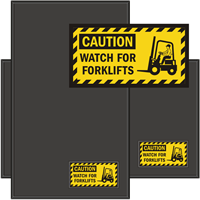 Invest in Forklift Safety Mats to make transition from pedestrian areas to vehicular lanes easy and safe for workers. 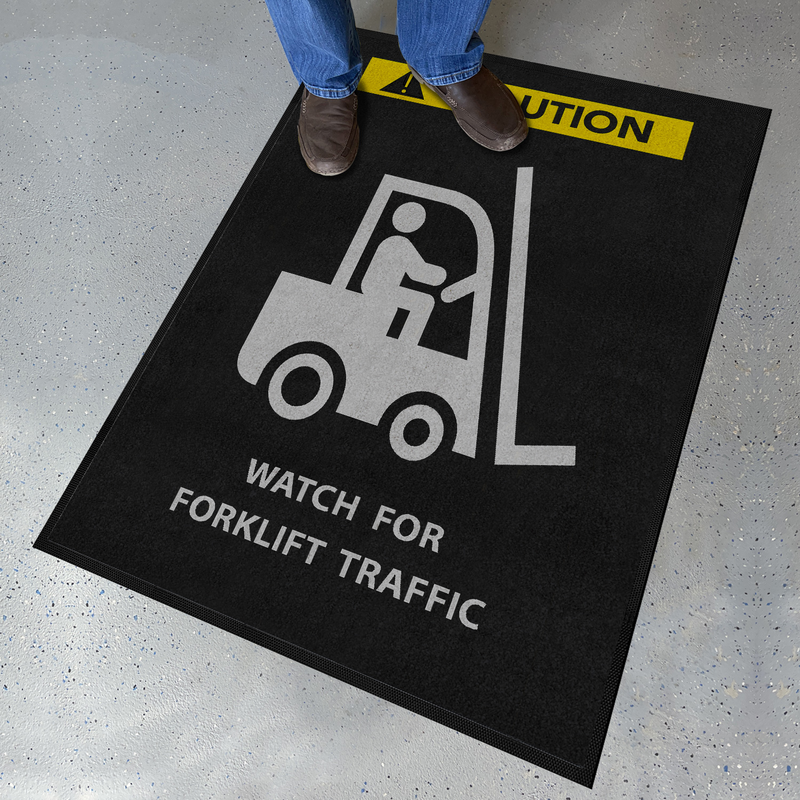 • Mats catch dirt and debris in its tracks while bold design alerts workers to forklifts. • Choose from four designs depending on the severity of the hazard. Mats with full graphic are ideal for dangerous areas like blind spots and intersections where you need to grab attention instantly. • Mats are available in horizontal or vertical orientation.